The most useful financial tool you should utilize is a budget. Now budgeting is never fun but with discipline and determination, you’ll see improvement in your financial security. The purpose of a budget isn’t to deprive you of the things that you want but to empower you. When we spend blindly we lose our power to build financial security; when we don’t have financial security we leave our fate in the hands of those who could care less about our financial well-being. Before we delve into how to make a budget, let’s first understand what budgets are and why they are powerful financial tools. Some people look at budgets and budgeting as the thing that’s going to cause them to miss out on the “fun” that’s going on around them. And in a way it is and it does, budgets are based on self-control, it’s a tool driven by self-control that’s used to manage finances. Budgets estimate income, monitor spending so you can grow wealth and financial security. Budgets are always growing and always changing. Your budget should change as your circumstances in life changes. A well-prepared budget will identify income, set a clear plan for saving, coordinate spending activities and require action to attain goals. Not understanding where your money is going each month put you at risk for financial problems and debt. Budgets allow you to strategically plan how you will spend your money and help translate the plan into actions. Budgets are a record of your saving and spending activities. Many families today, don’t have an open line of communication about the household financial status. Everyone in the household should understand where the family stands financially. Having a budget helps open up and improve the dialogue. Every family member should participate in budgeting activities. Young children can learn about saving with a piggy bank they fill up with coins. Children that earn money from chores can set saving goals; show them how to cut back on spending as a way to save money. Working teenagers and adult children still living at home can be responsibility for a household bill or groceries to help alleviate at least some of the financial burden from the head of household. With a budget you will see an improvement in the amount of money you allocate for resources–you’ll have more money to spend. And because budgets are always evolving, if something within your budget isn’t working for you, you can always redirect funds to better suit your needs–as long as you are using financial common sense. After you decide that you will manage your finances through budgeting, you’ll need to decide which type(s) of budget will work best for you. There are many types of budgets that focus on different goals and have different methods to achieve those goals. For different types of budgets go here and here. For the purpose of improving your financial security, having a cash flow budget, a saving plan, a financial budget, and an expense budget. In order to truly manage your money you will need to look at every aspect of your finances–how you pay your bills, how you spend your money, etc., If you really want your budget to work for you, use more than one type of budget. You don’t have to use the types that are mentioned here. If you find others that’ll better for you, please use it. All that matter is that you have one in place. After you populate the budgets that you are using, you can put goals, etc., into a master budget. Use a spreadsheet to create a master budget. If you don’t know how to use spreadsheets this is a great tutorial. Cash Flow Budgets (CFB) are focused on the money that is brought into the household. It examines your inflow of cash. CFB will force you to look into your expenses, but this budget doesn’t allow you to be specific about your spending habits. However, a CFB will help you determine if you are taking in more money than you spend. If shortfalls in income are discovered and there isn’t enough income to cover what needs to be paid, a CFB will help you decide how to pay what. Since our main purpose is to build our financial security, making a Saving Plans (SP) only make sense. SPs aren’t true budgets as the other budgets on the list. It’s more like a schedule than a budget. After you completed your CFB and you understand where your money is coming from, you should make an SP. SP should be made after the CFB, this way you can ensure that you are saving before you start spending. Figure out how much you can afford to save. From the amount you can afford to save a good portion of it should be allocated to a Rainy Day Fund (RDF). The money in your RDF is not to be touched unless for an extreme emergency. As your wealth grows, money for investments like 401(k) should be allocated The rest you can allocate for other things. Saving Plans also allow you to save for the things that you want. First, figure out your saving goals. Then list the things you want to buy, this list will continue to grow. The items you put into your list will have varying priorities and time frames. Remember, the more items you have on your list, the more money you’ll need to save. Next, figure out how much each item cost and set a timeframe for when you’ll have the money saved. Adjust your saving goals as life dictates. 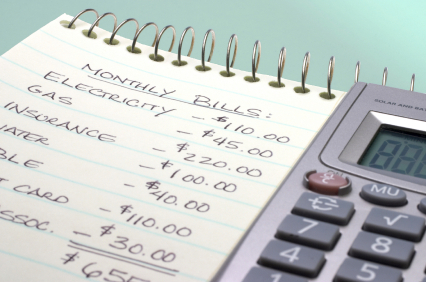 You should alway look for ways to cut your monthly expense so you can save more. Update your SP as needed, remove less important goals and change saving due dates if a goal can be put on hold or if its priority changed. Monitor you SP, regularly. If you are living in our calendar, schedule time once or twice a week to review you SP to make sure that you are on target. Setting time to review your SP keeps your goals and activities in others budgets saving focused. Financial Budgets (FB) are focused on essential expenses–your bills. Since you already outlined your income and put money aside in savings, now it’s time to start spending money. If you are responsible you’ll start spending your money by paying your debt. I define essential expenses as rent/mortgage, utilities (cell phone, cable, and Internet are included here), commuting cost (public transportation), car payment, gas, childcare, groceries, children’s extracurricular activities and bills for debt reduction (credit cards, student loans, personal loans.) When making your FB be sure to include debt from any loans you received from family and friends. It is so wonderful if you have a support system that has your back and helps you when you need it. You don’t want to lose a friend over money. Financial Budgets are great if you are trying to rebuild your credit. It forces you to look at your spending habits on your bills. It can help you answer whether or not you are making sound financial decisions when paying down your debt. FB helps you pay your bills on time and helps you determine the amount to pay. Control Due Date: call to see if the company will allow you to change the payment due date. Many companies will allow you to change due dates as a one-time courtesy. Due dates that scattered throughout the month usually cause problems because bills come due when funds are allocated for something else during the month. Bills that are due around the beginning of the months usually get paid late because rent or mortgages are usually due around that time. Budgeting purpose is not to deprive, but to empower. It won’t be fun at all, but with determination and discipline, you’ll see improvements with your finances. Budgets are powerful financial tools that estimate monthly income, allow clear plans for saving, and monitor spending habits. Budgets should be evolving as life dictates; budgets retire action to achieve goals set within the budget. Open the line of communication with everyone in the household. Everyone should understand the household financial status. All family members should be participating in budgeting activities. 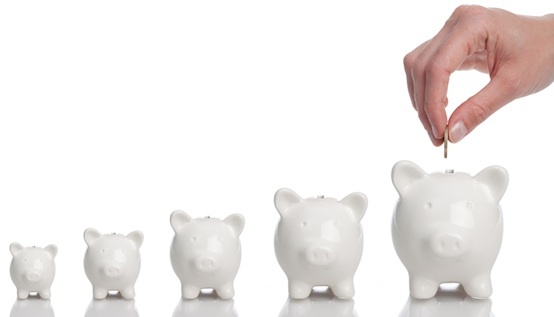 There are many types of budgets that focus on different aspects of finances. Choose the ones that are right for you. Cash Flow Budget, Saving Plans, and Financial Budget are great budgets when you are starting out on your financial security improvement journey. Once you are each individual budget populated, put everything in a Master Budget so you can see everything in one place. Every once and awhile it’s okay to splurge, just make sure it doesn’t get out of hand. Don’t leave your financial security in the hands of those who don’t care whether you make it or not. Do you use a budget? What are some of the things you use when making your budget? I would love to hear from you.